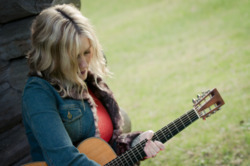 TERRY HOLDER’S award winning songs are getting her noticed. Her engaging performances are opening hearts everywhere she goes. In her live shows she has the undeniable ability to charm and connect with her listeners. Gifted with a voice to break your heart and with a touching display of emotive vocals, she weaves her songs from the heart and soul. This is just a spectacular display of natural talent in the songwriting genre. 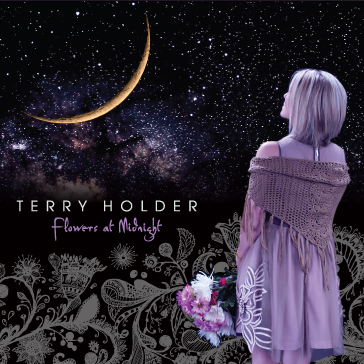 If you haven’t paid attention to the music of Terry Holder, slap yourself, hard. 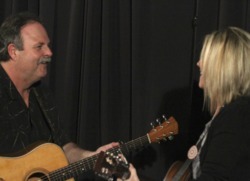 "Terry and Jerry gifted us with an evening of heartfelt stories and songs that touched every single person in our audience in a profoundly emotional way. If you have a chance to book them, do. I can't remember a time when our audience has been so deeply moved -- have tissue handy when they play for you. Our audience loved them, and they were thoughtful house guests, too." "Terry Holder is great! Everything about the experience was wonderful. It turns out that her daughter lives nearby and she was able to make it out to the concert, which made it extra special." "We've been booking Terry nearly every year for about 9 years. Always new material and has developed a strong following. Beautiful voice and great audience rapport." "Terry and Jerry were a delightful addition to our "Pre-Christmas" celebration. They matched their delivery to our audience and filled our evening with good music and conversation." "What joy it gives us to present this couple to or friends & neighbors. We have had the honor of hosting them 3 times & we love them more each time. Terry and Jerry are wonderful friends & house guests and we are looking forward to next time." "Bravo! Bravo! We loved them both. They are a beautiful match. Terry has thought-provoking lyrics & a clear-as-a-bell voice. Jerry's voice blends perfectly & his guitar playing is great. Please return....& let's book northern New Mexico, too!" "Terry has played our anniversary concert since our series began. This was her fifth and probably the best so far. 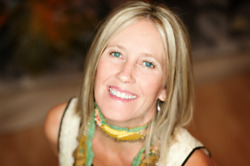 She released a new CD this year that is terrific and has won several awards for her songwriting. 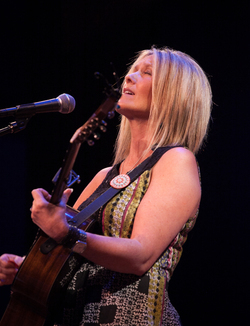 Terry has a wonderful voice and she has honed her guitar playing and songwriting to become a complete performer. She was backed up by several musicians who played on it and they blended perfectly with her singing and playing. Can't wait for next year's show!" "Terry and Jerry were a resounding success! Their unique combination of outstanding melodies, poetic lyrics, and repartee with the audience between songs made for a most enjoyable evening, start to finish. I'm loving my Flowers at Midnight CD now."